The vanadium focused Hardey Resources Ltd (ASX:HDY) has entered into a share sale agreement with the major shareholders of Vanadium Mining Pty Ltd (VanMin) regarding a prospective complementary acquisition. Under the terms of this agreement, HDY has been granted a 40-day option to acquire 100% of the issued capital of VanMin, which is a mineral explorer that owns six highly prospective vanadium projects in Queensland and the Northern Territory. This initiative supports Hardey’s decision to evolve the company into an emerging vanadium supplier of the renewable energy sector. This strategy was behind the recent acquisition of the Nelly Vanadium Mine in Argentina. Should the acquisition go ahead it will also provide the company with geographical diversification. Although it is early stages in this acquisition so investors should seek professional financial advice if considering this stock for their portfolio. VanMin was established with the principal objective of acquiring vanadium projects in Queensland and the Northern Territory. The company owns four projects in the Mount Isa region of western Queensland, being Sharptooth, Spike, Cera and Petrie. 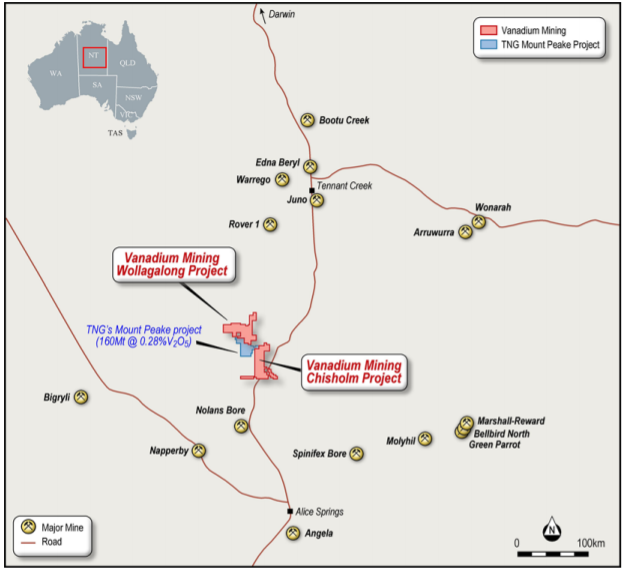 These projects indicated below are located in an area that favours shallow surface mining for large tonnages of low-grade vanadium mineralisation. As can be seen above, these four highly prospective areas are to the south of Intermin Resources’ (ASX:IRC) globally significant Richmond project (inferred mineral resource 2,579 million tonnes at 0.32% vanadium cut-off grade of 0.29% V2O5), one of the world’s largest vanadium deposits. Within the Mt Isa region, the Toolebuc Formation is increasingly recognised for elevated vanadium potential. Furthermore, areas known for the prevalence of oil shale usually have occurrences of vanadium and uranium mineralisation. This combination of mineralisation is typically found within the Toolebuc Formation and is consistent with the underlying geology apparent at IRC and (Liontown Resources) respective projects. Across VanMin’s four Queensland projects, there is clear evidence of elevated vanadium levels in historic boreholes drilled within the Toolebuc Formation. 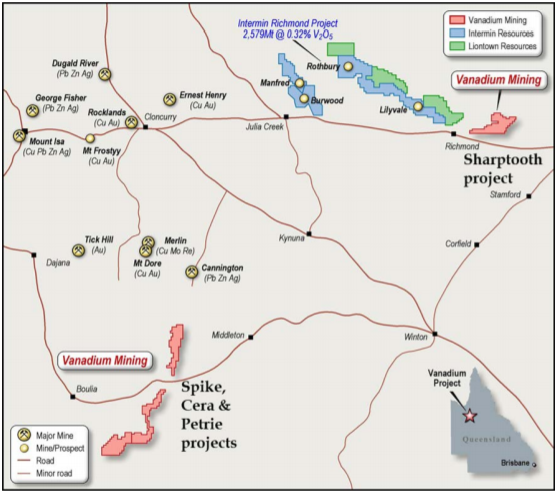 Management also noted that there have been numerous historic reports and research confirming that VanMin’s four projects, and the greater region, are generally prospective for vanadium mineralisation. Based on this legacy work, primary and secondary targets that align with the Toolebuc Formation outcropping have been selected for follow-up fieldwork to confirm the potential for vanadium mineralisation. VanMin’s two projects in the Northern Territory, Wollagalong and Chisholm, are contiguous with TNG’s (ASX:TNG) Mt Peake vanadium-titanium-iron project which has a total resource at 160 million tonnes at 0.28% vanadium with a cut-off grade of 0.29% vanadium. TNG’s project is the most advanced in the region as a Definitive Feasibility Study (DFS) has already been completed, while TNG has also signed a binding life of mine offtake and technology transfer agreement with Korea’s Woojin Metals. TNG updated the economics of its DFS for Mount Peake in November 2017, confirming a world-class project capable of generating life of mine cash flows of $11.7 billion with an NPV8 of $4.7 billion. Consequently, if nearology comes into play through the identification of similar mineralisation and grades Wollagalong and Chisholm could become prized assets. 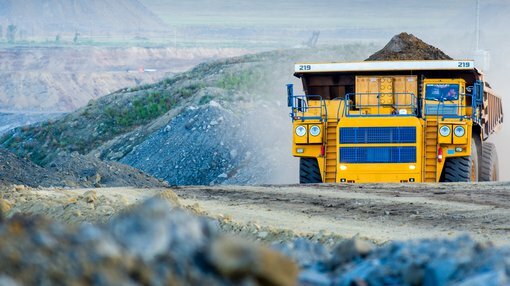 Both VanMin projects are in a region with higher grade mineralisation that is associated with ore bodies with the potential to be selectively mined by open pit methods. Moreover, Wollagalong and Chisholm cover the highly prospective Arunta Orogen, which hosts TNG’s Mt Peake vanadium deposit. Both VanMin projects have similar geological and magnetic features to TNG’s declared resource for vanadium, titanium and iron. Hardey also expects they are highly probable to be gabbro-hosted magnetite deposits which underlie the Mt Peake deposit’s vanadium-iron-titanium mineral resources. The promising supply-demand dynamics regarding vanadium have been well documented, and this has contributed to the sharp rise the commodity price as indicated below. Consequently, Hardey’s timing in taking an aggressive approach to acquiring highly prospective territory appears to be an astute move. Management expects the acquisition which involves a share sale process will be settled by early September.